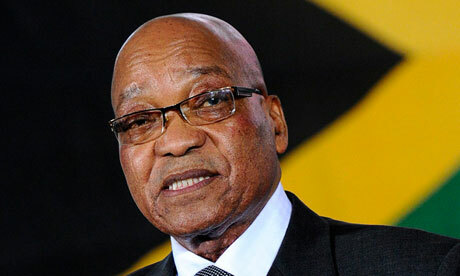 His Excellency President Jacob Zuma is in Mbabane, in the Kingdom of Swaziland to attend the 36th Ordinary SADC Summit of Heads of State scheduled to take place from August 30 to 31 under the theme: "Resource Mobilisation for Investment in Sustainable Energy Infrastructure for an Inclusive SADC Industrialization and for the Prosperity of the Region”. The theme of the Summit places focus on the need to improve both industrial and infrastructure development in enhancing integration, fostering intra-regional trade in addressing SADC's sustainable development agenda. The SADC Summit is a statutory meeting of the 15-nation regional body which convenes annually in August. The Summit considers matters from different sectors for decision and noting. The Summit also examines the performance of SADC institutions and reviews the overall implementation of the regional body's socio-economic programmes. On the political and security situation in the region, it is expected that the focus of discussions at the Summit will be on constitutional, public and security sector reforms in the Kingdom of Lesotho, national reconciliation, implementation of the SADC Roadmap on Madagascar and the national dialogue towards preparations for national elections in the Democratic Republic of the Congo. The summit will be preceded by the SADC Organ Troika Summit which will take place today (Monday, August 29 - 2016). South Africa is participating in the meeting in its capacity as the outgoing Chairperson of the SADC Organ on Politics, Defence and Security Cooperation. Deputy President Cyril Ramaphosa will take part in the Organ Troika Summit in his capacity as the SADC-appointed Facilitator working on the political and security situation in Lesotho. The Organ Troika is made up of the following countries: Botswana, Zimbabwe, Swaziland, Mozambique, South Africa and Tanzania. South Africa will cease to be a Member of the Organ Troika on Politics, Defence and Security Cooperation on August 30, 2016 when the Republic of Mozambique will resume this position as Outgoing Chair. The United Republic of Tanzania will assume the position of Chair the Organ for the period 2016-2017. According to a statement released by the presidency, President Zuma has appointed Ms Susan Shabangu, the Minister in the Presidency responsible for Women, as acting President while the President and Deputy President are attending the SADC Summit and Organ Troika Summit in Swaziland. President Zuma is accompanied by the Ministers of International Relations and Cooperation, Ms Maite Nkoana-Mashabane; Defence and Military Veterans, Ms Nosiviwe Mapisa-Ngqakula; Trade and Industry, Dr. Rob Davies and State Security, Mr David Mahlobo.